I’m pretty proud of this recipe. 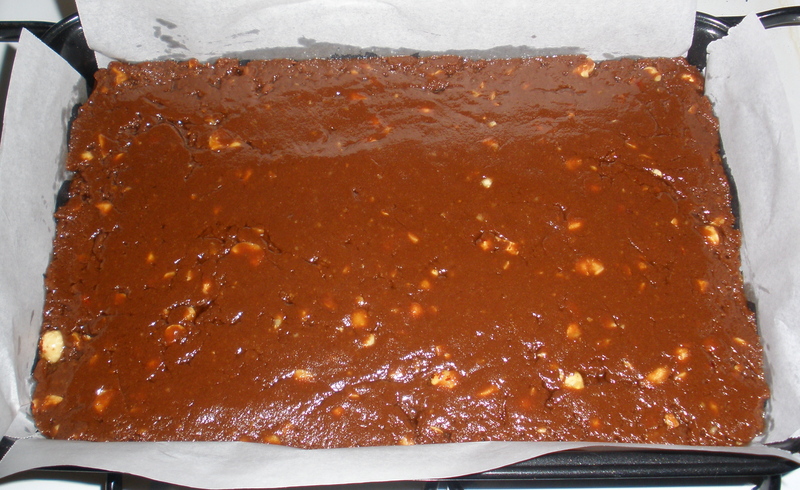 It’s one that started as a cake-like chocolate brownie with roasted hazelnuts in it. I then tweaked the recipe and now it’s a more dense brownie textured hazelnut brownie – as in the brownie actually tastes of hazelnut, not just contains hazelnuts. Preheat oven to 200C. Line a 16x26cm slice pan with baking paper. Place chocolate, butter and nutella in a microwave safe bowl. Microwave on medium in 60 second bursts, stirring after each burst, until smooth. Set aside to cool slightly. Stir in sugar, eggs, nuts, sifted flour and Frangelico until well combined. Spread mixture in prepared pan and smooth surface. Bake for 12-15 minutes or until top is just firm. Allow to cool for 10 minutes in the pan. 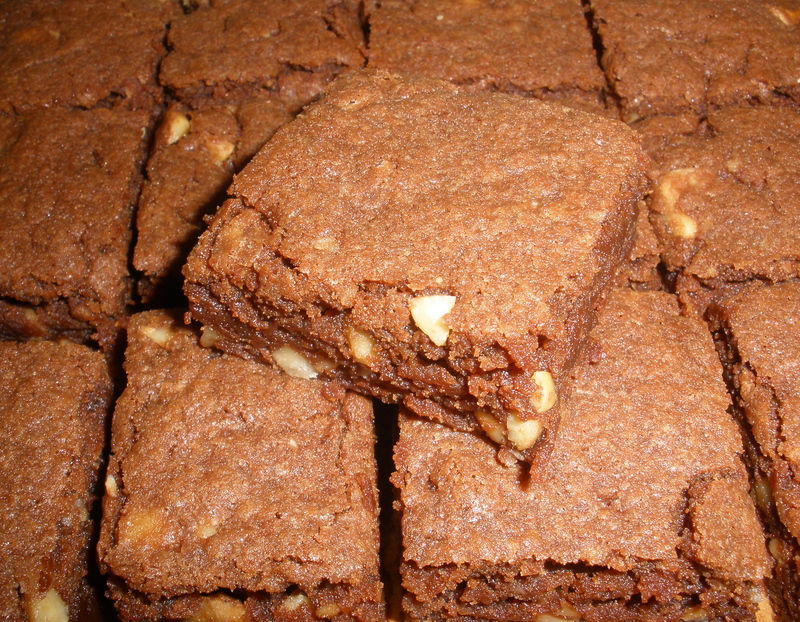 Lift slab out onto a chopping board and cut into brownies.